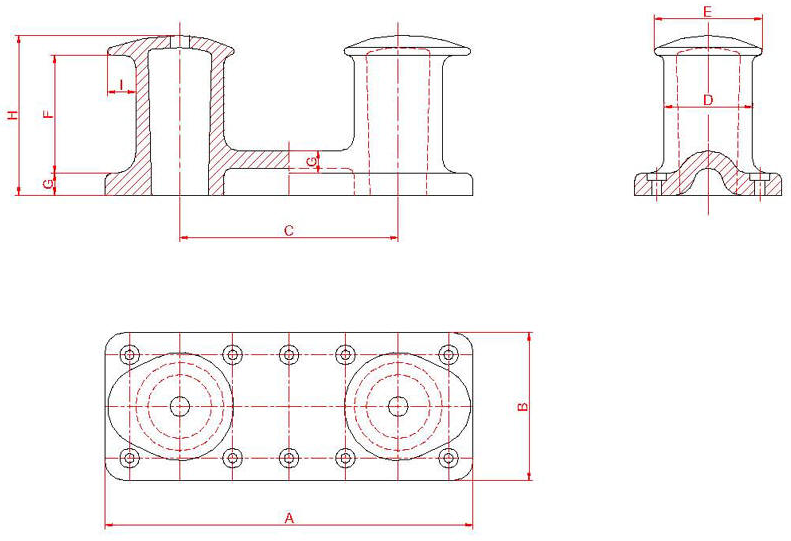 Product categories of Mooring Bollard, we are specialized manufacturers from China, Mooring Bollard, Pipe Bollard suppliers/factory, wholesale high-quality products of Ship Bollard R & D and manufacturing, we have the perfect after-sales service and technical support. Look forward to your cooperation! Marine Bollard consists of shell, bolt, nut, washer, anchor plates and columns heart filler. The material of bollards are mainly casting steel, casting iron. Its nominal specification ranges from 50KN to 2000KN. According to utility cent, have the common Mooring Bollard, mooring bollard, storm trial mooring bollard, etc.Marine bollard is designed and shaped according to berthing capacity, wharf structure to meet the safety and convenience for vessels` away from the dock, mooring, shifting berth, turning around. Common specifications are 150KN, 50KN, 250KN, 350KN, 450KN, 550KN, 650KN, 750KN, 1000KN, 1500KN,, 2000KN, etc..